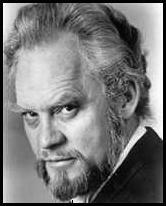 Thomas Stewart, one of the great bass-baritones of the last half century just died at the age of 79. There will be many in Washington D.C. who knew him and his wife, Evelyn Lear. I did not, but just like anyone else even remotely interested in Opera – and particular Wagner – I have cherished many of his recordings. Perhaps it does Mr. Stewart injustice to remember him only by his Wagner, because part of what made him such an extraordinary musician was his versatility and success in varied repertoire. Alas, to the extent he will be remembered, it is likely as a Wagnerian. What made him so remarkable in his field was his care and respect for the text, giving it the necessary effort to enunciate and express the words. Assuming that you can follow the German of a Wagner opera (difficult as it can be), you can understand every word of his. In this, he resembled Fischer-Dieskau or Kurt Moll, resisting the epidemic laziness among Wagner singers to ‘assume not to be understood, anyway’. Today there are even fewer exponents of such painstakingly clear diction – Waltraud Meier is the only one that comes to mind. Thomas Stewart's voice was more nuance than heft, more lyric than stentorian... a singer whose “sung” Wagner is more pleasing to my ears than the belted, barked, pushed, and screamed Wagner one all-too often hears. 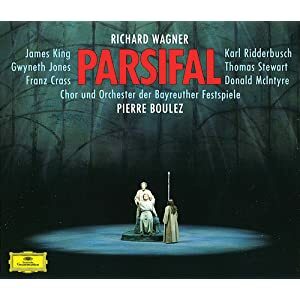 No other Wagner bass comes to mind that was quite like him… but Wolfgang Windgassen does, of whom Stewart might be said to have been a lower-register version. We are being left by a generation of singers: Ghiaurov, Hotter, Nilsson, Schwarzkopf, Varnay all died over the last few years – and although all of them had had enough time to give us all that their active careers could have, they will be missed. Thomas Stewart has now joined them. He, too, will be missed. Our thoughts are with Mrs. Evelyn Lear.